God's Purpose Still Served With False Teachers? God’s Purpose Still Served With False Teachers? Have you ever sat and watched a sermon by a pastor like Steven Furtick, or Andy Stanley? Have you ever really just sat and listened to them preach. It’s easy to be drawn in to the charismatic mood changing, emotionally driven style of speech or worship. They quote from Scripture, and speak with such compassion that you wonder, how could someone so passionate about what they’re saying be so off? Someone that seems so dedicated to their teachings, so caring and so loving towards their congregations, how can they be so far removed from the truth? Does God actually allow teachers who are truly dedicated to him and his word to be raised up, undisciplined, and allowed to shepherd a flock of such magnitude, but without any accountability to his truth? Can a false teacher be saved, and just be wrong, or are these truly wolves in sheep’s clothing who are on their way to Hell? Ever since the fall of God’s creation through Adam, man has been a slave to sin (Romans 5:12). Sin affects every aspect of our lives. It affects the way we think, the way we feel, and the way we perceive things, understand things, and communicate. It affects our desires and our motives and our purposes. Apart from Christ, we are inseparable from sin. Yet God has chosen to allow sin to flourish, without an immediate end to it. Instead of instantaneously stopping sin, he has chosen to redeem us through Christ, yet allowing sin to continue, while we suffer the temporal consequences of it. As a result of our sin, 1 Corinthians 2:14 says “The natural person does not accept the things of the Spirit of God, for they are folly to him, and he is not able to understand them because they are spiritually discerned.” Apart from God, man in his own state of sin will not, can not, accept the truth. So why do so many false teachers seem to be so caring, passionate, and sincere? One thing you will notice with false teachers, is that they always want to downplay the importance Scripture places on warning against false teachers. You may hear defenses like “The Bible doesn’t say a whole lot about false teachers, so we really shouldn’t be too concerned with it,” or “Christians need to stop bickering and judging each other, and just be more loving and Christ-like.” Some false teachers, like Beth Moore, will refer to their critics as “scoffers,” who are “stopping unity.” Christine Caine twists Scripture to make a point about an unbiblical form of unity. Steven Furtick (left) refers to them as “haters,” and says that they are afraid of change, or afraid of anything that is “new” and “different.” But they always make it sound like anyone that is against them, or their unbiblical teachings, are somehow working against God and his people. However, this common unifying trait among false teachers is necessary to be able to survive, and to even thrive within the visible church. They have to devalue the importance of biblical discernment while making it look like they are being more discerning by doing so. It’s trickery. They must also maintain control and dominion over their congregations. If you remember the story of Jezebel, one of her characteristics was to maintain spiritual control over people. When she became queen, she eradicated all of God’s prophets and replaced God’s altars with those of Baal (1 Kings 18:4, 13). But she didn’t just take control of people by force. She was cunningly deceptive. Her doctrine (1 Kings 21:1-29), cleverly penned The Jezebel Doctrine, is strikingly similar to what we know today as the Prosperity Gospel. This false prophetess seduced her husband Ahab by only “prophesying” good things, and endorsing covetousness. 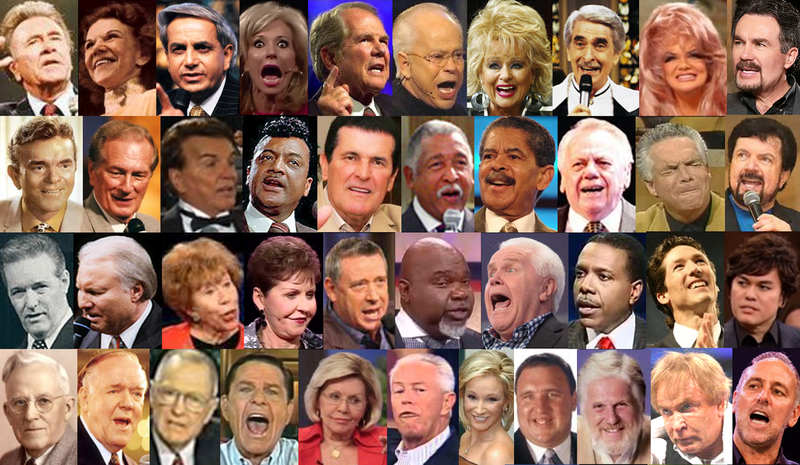 Teachers and pastors who are seduced by these spirits maintain that they are 100% right, and can not be corrected. These people can stand in front of crowds, and draw real emotional responses—tears. They appeal to the worldly senses of people, and carnal desires of their nature. Their impassioned speeches are often intertwined with a seemingly supernatural sense of urgency, co-opted with breathlessness, sweating, and even cracking voices that to the average person, seems surreal in nature. This person “must” be passionate about God, one thinks. But the Bible says that even Satan himself masquerades as an angel of light (2 Corinthians 11:14). False teachers are very good at deception (Matthew 24:23–27), and have many tactics that they use to carry out their sinful desires (2 Peter 3:3), and more often than not, they don’t even realize they are false teachers, as they have been deceived themselves (2 Tim 3:13). The fact of the matter is, they are passionate about what they are saying, and they do, for the most part, believe it. They are in fact so passionate about it, that they will use whatever method they deem necessary to get you to believe it as well, and this most often involves evoking your emotions through deceitful tactics. Can false teachers be saved? Scripture also teaches that those who are truly saved do not depart from the faith (1 Cor. 15:1-2). It seems to me that teaching false teachings would be a departure from the faith. The Bible refers to saved people as “believers” (Acts 5:14; 1 Tim. 4:12). But if you are teaching and/or believing something contrary to the truth, how can you be a believer? This isn’t to say that a false teacher can’t ultimately repent and be saved, but you can’t be teaching a false Gospel while believing the true one. One of the attributes of a saved person is the act of God’s discipline on his children. It is for discipline that you have to endure. God is treating you as sons. For what son is there whom his father does not discipline? 8 If you are left without discipline, in which all have participated, then you are illegitimate children and not sons. God disciplines his children, his believers, just like we discipline our own children. We don’t generally go around disciplining other people’s children. As with God, he doesn’t go around disciplining those who are not adopted into his family through Christ. I’m not saying he doesn’t punish, but punishment and discipline are two different things. Discipline is to correct inappropriate behavior. False teachers generally do not correct our behavior, they generally breed more deception.